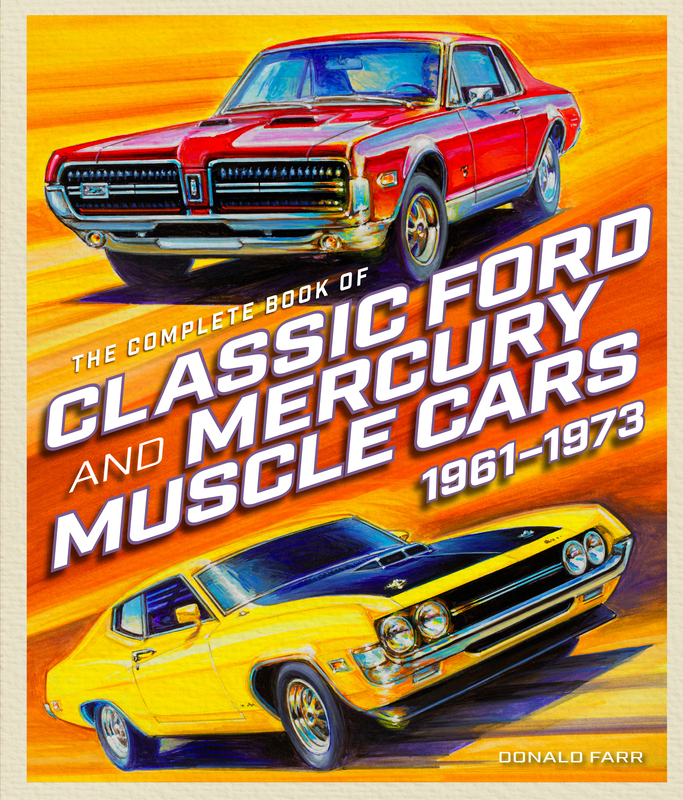 Be amazed by every high-performance muscle car built by Ford Motor Company’s from the early 1960s to 1973, when the Detroit muscle car wars were raging. Though the Mustang remains Ford’s most famous muscle car, the company had been building muscle cars since it introduced the sleek 1961 Fairlane and Galaxie models with an optional 390 cubic-inch big-block V-8 engine. These cars were part of Ford’s Total Performance program, which tested cars in the crucible of racing at drag strips, oval circuits, European rally events, and road courses, resulting in legendary muscle cars like the Shelby Mustang, Boss 302 and 429 Mustangs, Mercury Cougar, Cyclone GT and Spoiler. 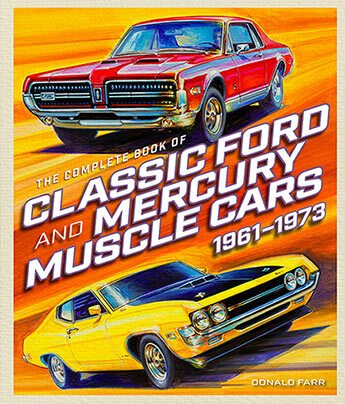 The Complete Book of Classic Ford and Mercury Muscle Cars covers all of Ford Motor Company’s high-performance, muscle cars from the early 1960s to 1973. It’s the reference work every fan of Ford performance needs.